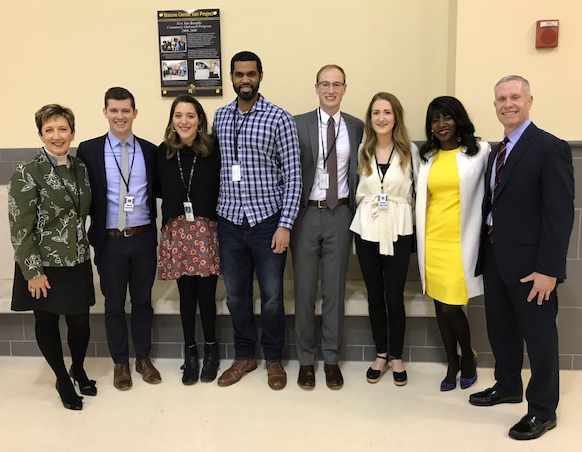 At LSE on March 19, 2019, we recognized a service project Southeast students completed 10 years ago in 2008. At that time, LSE students raised $31,000 to purchase and donate a passenger van to the Malone Center. 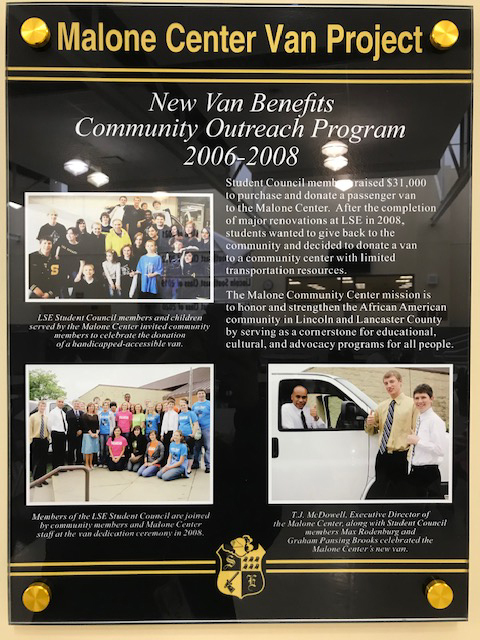 After the completion of major renovations at LSE in 2008, students wanted to give back to the community and decided to donate a van for a community center with limited transportation resources. To recognize the efforts of our past students we installed a new LSE Malone Center Van Project plaque on the LSE Service Wall of Fame – which is located in the Commons.